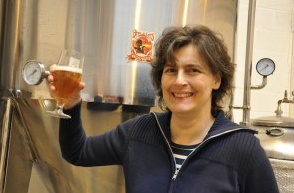 Sara Barton, founder of Grantham-based Brewster’s Brewing Company, has won the Guild of British Beer Writers‘ Brewer of the Year Award. She picked up her prize in London on December 6, having received the highest number of votes from beer journalists, writers and bloggers. 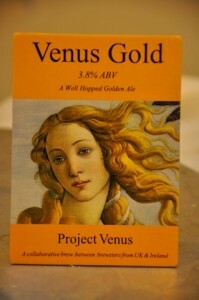 It is the first time a female brewer has won the coveted gong. The full list of awards can be seen here. With her collaborative Project Venus concept, Sara has been a driving force behind the encouragement of female brewers in the UK and Ireland, which helped her to win the award. Sara is also due to appear on Jamie [Oliver] and Jimmy’s Food Fight on December 27 this year. More here. For more information on Sara and Brewster’s Brewing Company, read our feature.